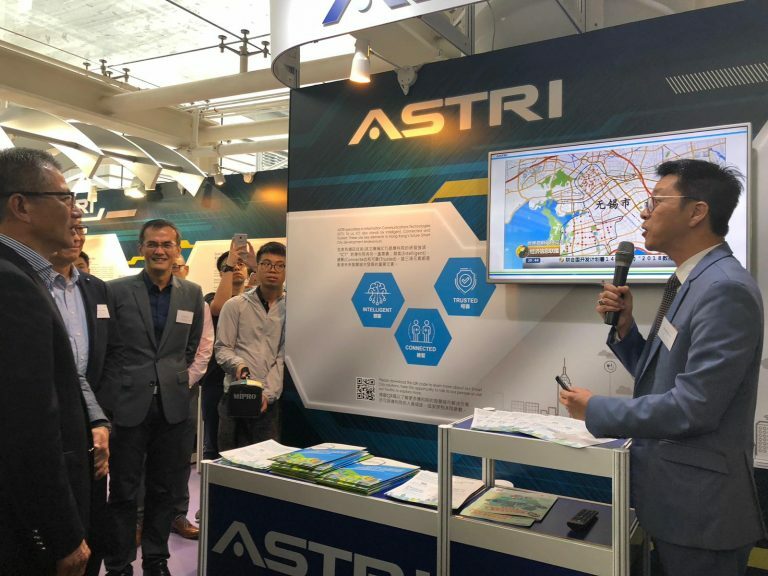 ASTRI, participating in InnoCarnival 2018 organised by the Innovation and Technology Commission of the HKSAR Government, showcased a number of smart technologies that will help transform Hong Kong into a world-class Smart City. 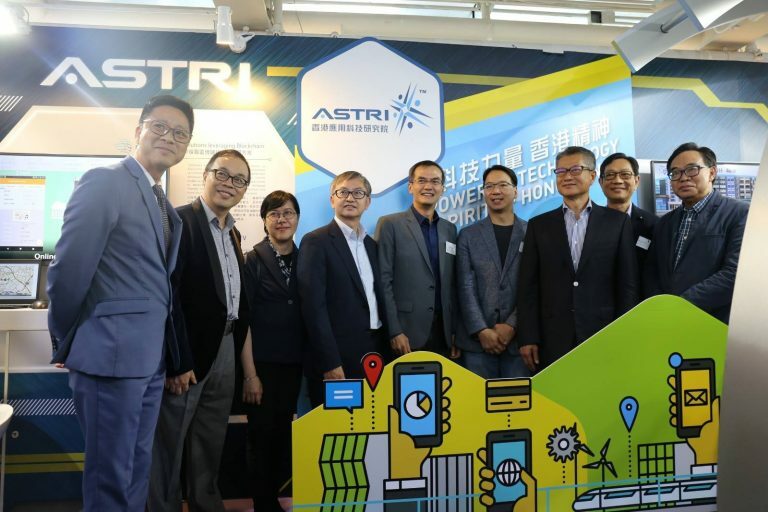 As the largest applied R&D centre in the city, ASTRI not only innovates smart solutions that benefit Hong Kong’s economy and the communities, it also helps to inspire Hong Kong residents about the infinite power of technology in shaping our future. ASTRI has taken part in the HKSAR Government’s ‘InnoTech Month’ campaign since 2010 –InnoCarnival is part of the month-long campaign. 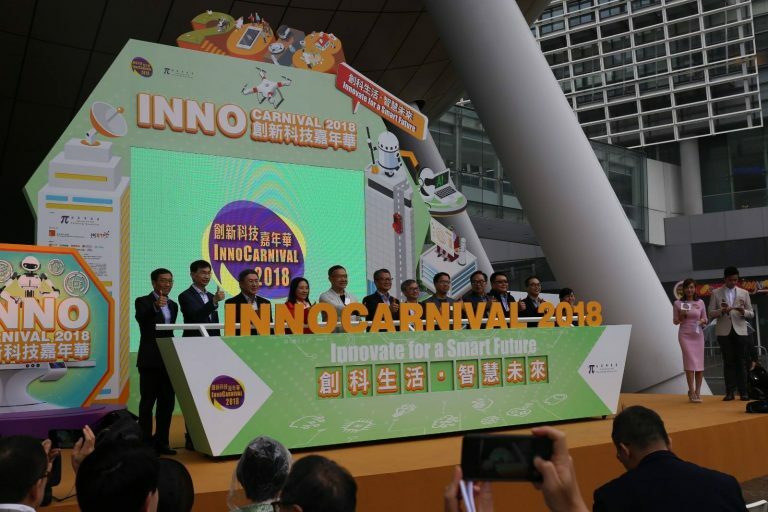 The 2018 edition of InnoCarnival took place at Hong Kong Science Park from 3-11 November 2018. ASTRI’s pavilion showcased a number of Smart City technologies including Vehicle-to-Everything (V2X), Palm Fusion Biometric Authentication, Blockchain for financial services, Naked-eye 3D and other display technologies, Smart Pole, Narrowband Internet-of-Things (NB-IoT), Smart Parking, Smart Community, and Mixed Language Chatbot. On the Carnival’s opening day, a number of senior officials visited ASTRI’s pavilion including Mr Paul Chan – Financial Secretary, Dr David Chung – Acting Secretary for Innovation and Technology, two members of the Legislative Council – Mr Charles Mok and Ir Dr Lo Wai-kwok, Mr Cheuk Wing-hing – Permanent Secretary for Innovation and Technology, Ms Annie Choi – Commissioner for Innovation and Technology, Mr Ivan Lee – Deputy Commissioner for Innovation and Technology, and Mr Albert Wong – Chairperson of Hong Kong Science and Technology Parks Corporation. Mr Wong Ming-yam – Chairman, Mr Hugh Chow – Chief Executive Officer, and Dr MeiKei Ieong – Chief Technology Officer welcomed the esteemed guests to ASTRI’s pavilion and briefed them on ASTRI’s Smart City innovation endeavour. 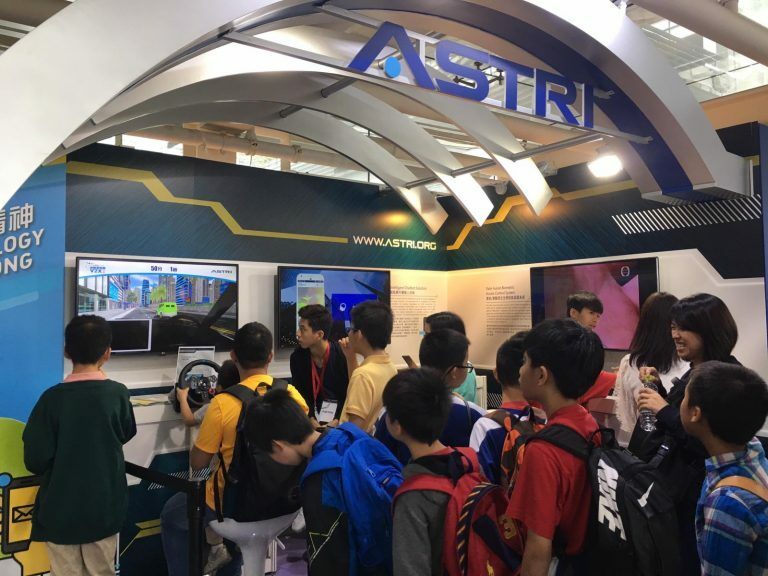 The innovations demonstrated at ASTRI’s pavilion attracted a large number of technology enthusiasts and ordinary Hong Kongers alike – old and young, students and teachers, children and families coming in large flocks to learn about Hong Kong’s Smart City ambitions. 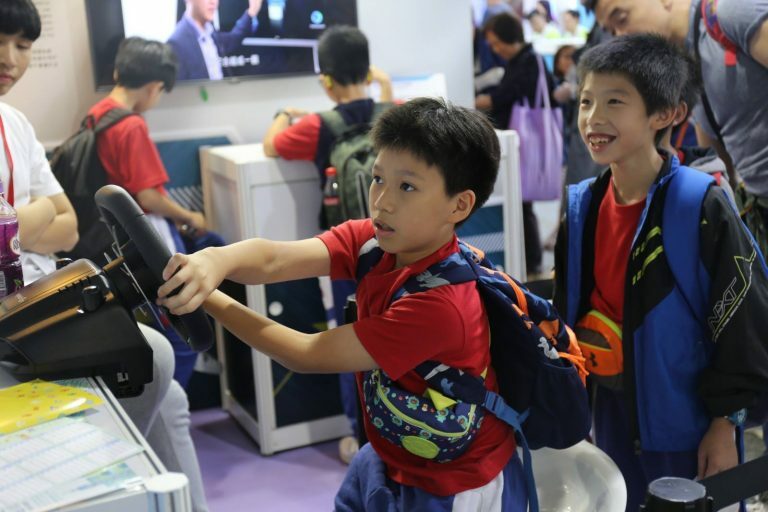 Two on-site games – a ‘Connected Car Simulation’ experience and a ‘Match and Win’ game on ‘Smart Technologies for Smart Living’ – became instantly popular among the younger crowd. Visitors to the pavilion also showed keen interest in the Naked-eye 3D TV and ASTRI’s dynamic Smart Pole. In addition, ASTRI has helped to inspire Hong Kong into a tech-powered future by facilitating four workshops for over 200 primary and secondary students – explaining ‘Smart City and IOT’ to the generation who will build and shape Hong Kong’s future. Meanwhile we are also facilitating two seminars each attended by around 50 people respectively on ‘Connected Cars and V2X Technology’ and ‘Multifaceted Applications of 5G’. ASTRI remains committed to the ‘Spirit of Hong Kong, Powered by Technology’ in its innovation journey.